Merlien Institute has opened its Call for Papers for the QUAL360 Global Qualitative Market Research Conference Series. The conferences will be held again in Europe, North America and APAC. Working closely together with national and international industry bodies, QUAL360 fills the gap for localized content in the global qualitative community. To submit a paper for the above events, please visit the respective regional QUAL360 websites above. 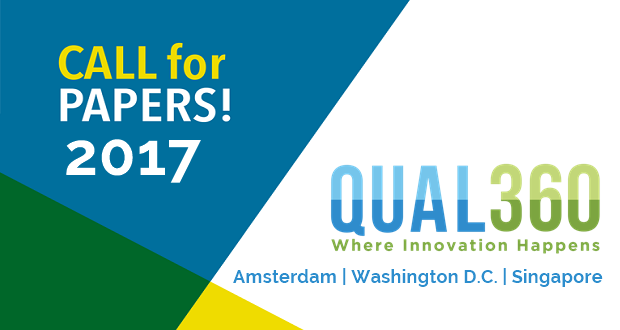 For more ways to get involved or to support QUAL360 as sponsor, contact Jens Cornelissen at +49 30 4672 1028. Established in 2008, Merlien Institute is a leading events and publishing company with a mission to efficiently respond to the information and networking needs of insight, marketing research and innovation professionals. In fact, we pride ourselves with the ability to scout for the newest technologies and introducing them at our events.